Surveys architecture, engineering, and planning schools advocacy research and service-learning projects in connection with rebuilding in the Gulf Coast region. Kathleen Dorgan was a guest co-editor of the symposium in this important peer-reviewed journal published by HUD. 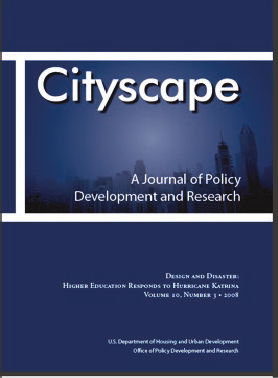 This issue of a publication usually devoted to economics and social science research was important in elevating engaged research in both the academy and HUD as well as an important vehicle for sharing important participatory principles within federal funding programs. This issue was also the first that included photographs. 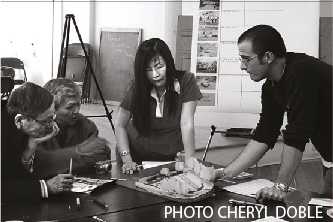 A common thread connecting the articles is the approach that each university took to engaging the community in the processes of planning and rebuilding. 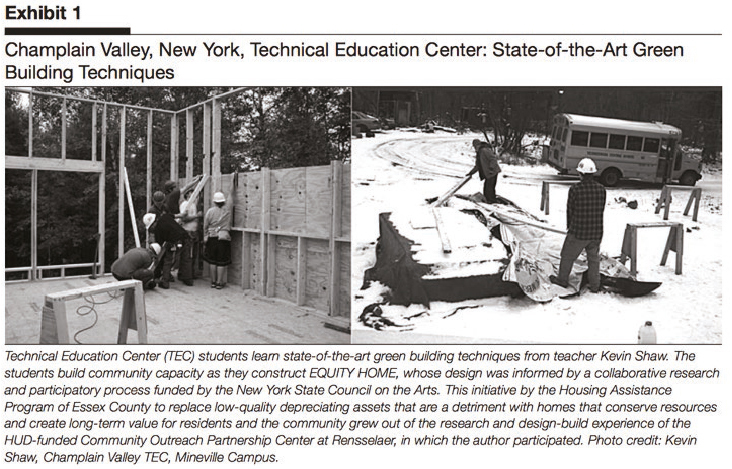 As described in this volume and elsewhere, college students and their mentors were among the first to step forward to facilitate rebuilding. This commitment has been sustained despite the many challenges of working in the Gulf Coast. e resulting improvements are visible throughout the region. The projects undertaken by university partnerships appear to us to be contributing to the education of students and faculty, building local capacity, and increasing our collective knowledge of effective strategies for community development, but much remains to be done, both in rebuilding in the Gulf Coast and in studying how to most effectively provide planning and architectural services to communities. The purpose of this symposium is to document some of the initiatives undertaken to date and to begin the process of critical inquiry that will elevate and expand such practice. Student Participation ranges from advocacy to undertaking construction, this journal explores the methodology and impact of this work.